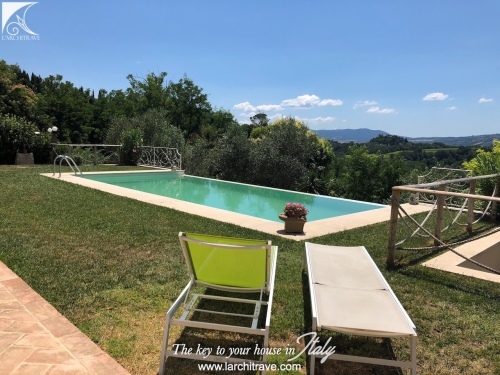 Beautifully restored Borgo on the hills between Pisa and Florence, with panoramic swimming pool, terrace and private garden. 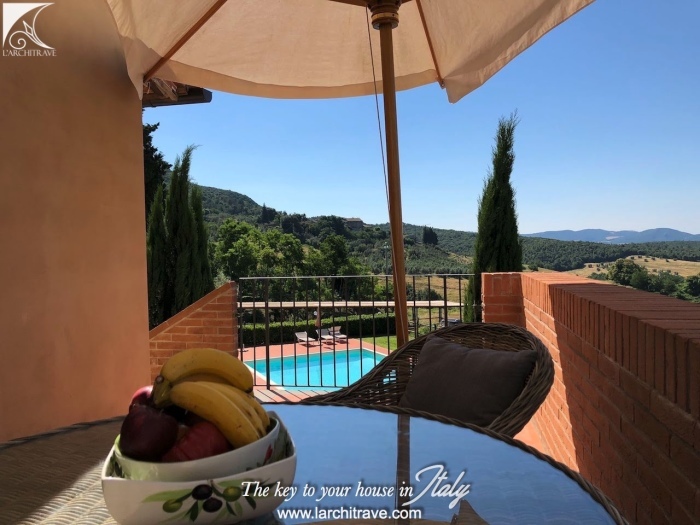 Il Geco is a unique property with breathtaking views in the centre of Tuscany, between Florence and Pisa and at 5 minutes drive from a picturesque village with all services and amenities, 2 restaurants, bar and small supermarket. 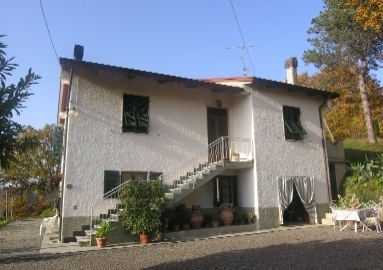 The property is the end portion of a building which is part of a small "Hamlet". 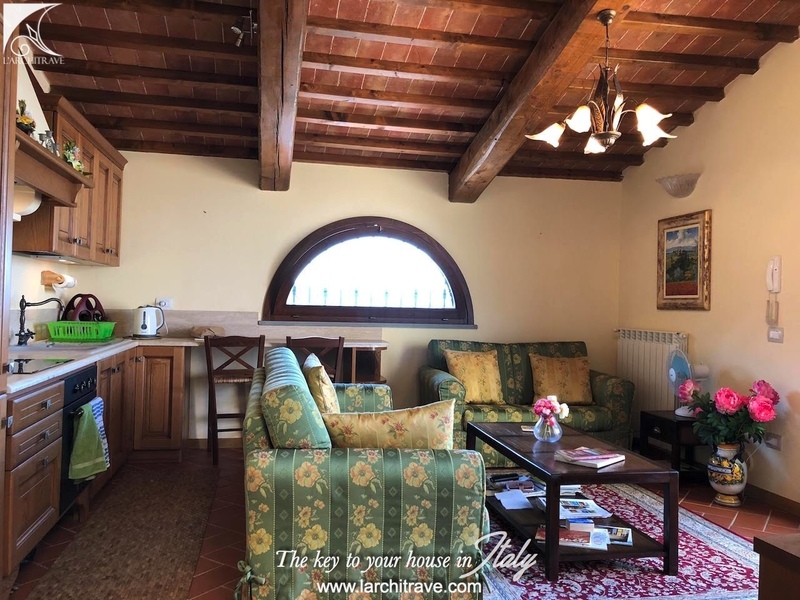 It is accessed by an external staircase which leads to a large terrace; main entrance is in the living area with kitchen and breakfast bar facing an arched panoramic window. 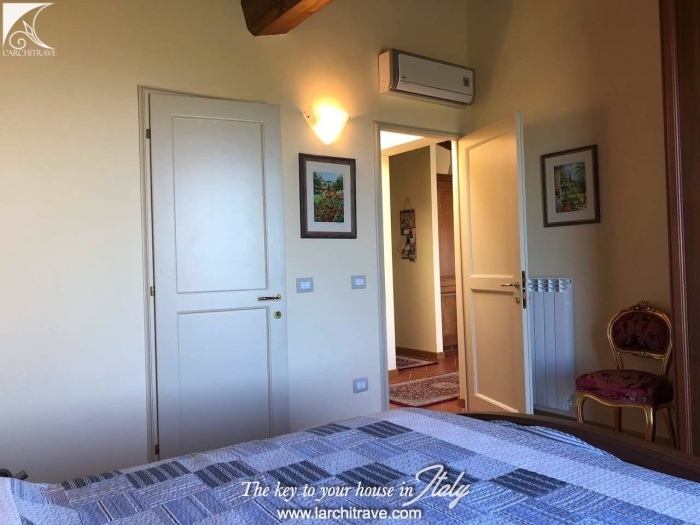 On the same floor there are 2 bedrooms, both with Juliet balcony, one with ensuite shower bathroom, a second bathroom with bathtub and a store room with washing machine. 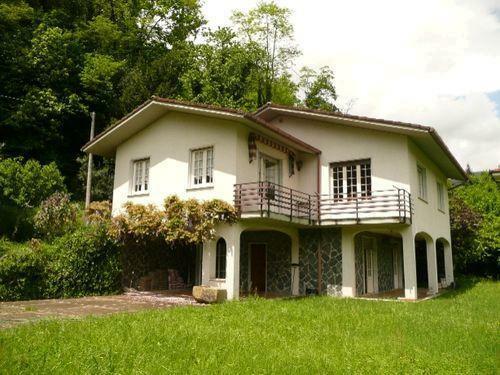 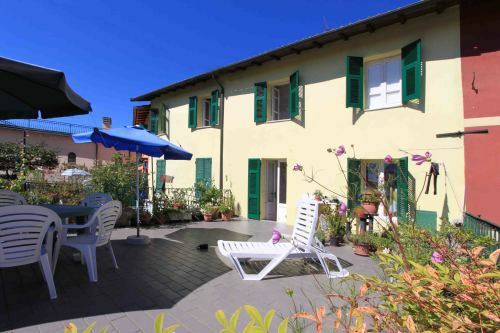 The property has been fully renovated and it is perfectly maintained. The garden faces also the nice views of the hills and Volterra. A storage room is located under the stairs at the garden level. Connected to all services, central heating, air conditioning in each bedroom and in the living area. 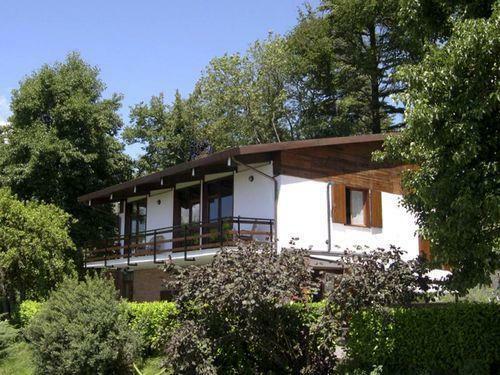 Peaceful and relaxing atmosphere, amazing landscape of the "rolling hills" and extensive communal garden. 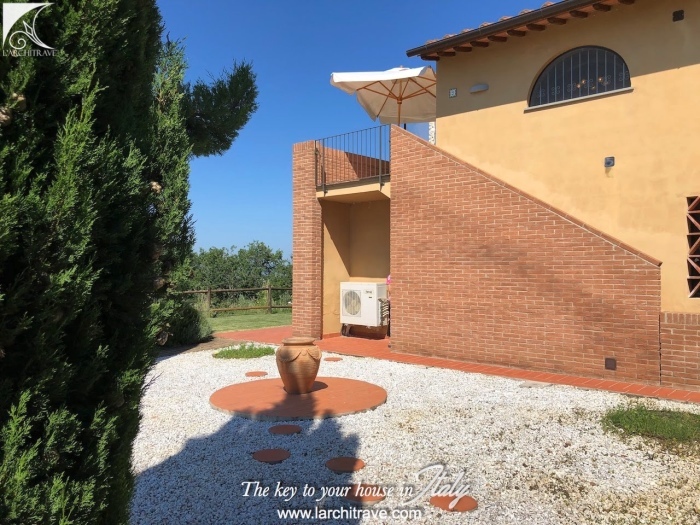 Unique architectonical design and maximum use of the space. 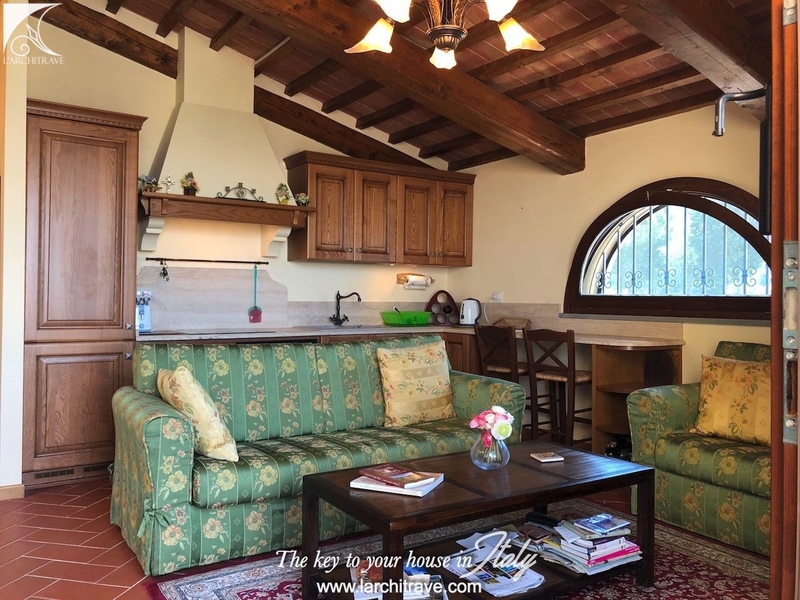 Big and bright living area. Terracotta floors and terracotta ceiling tiles and wooden beams. Double glazed windows with internal wood shutters. 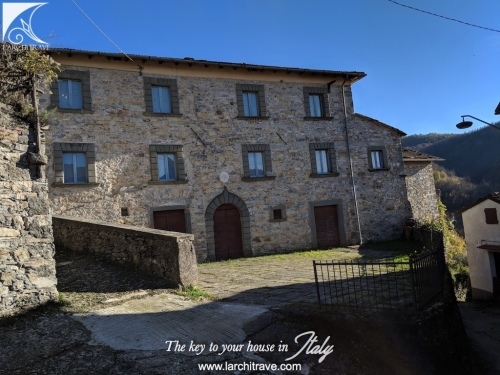 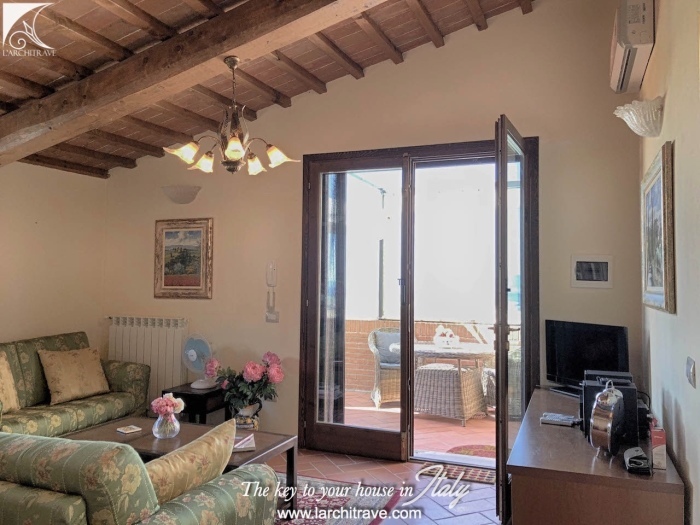 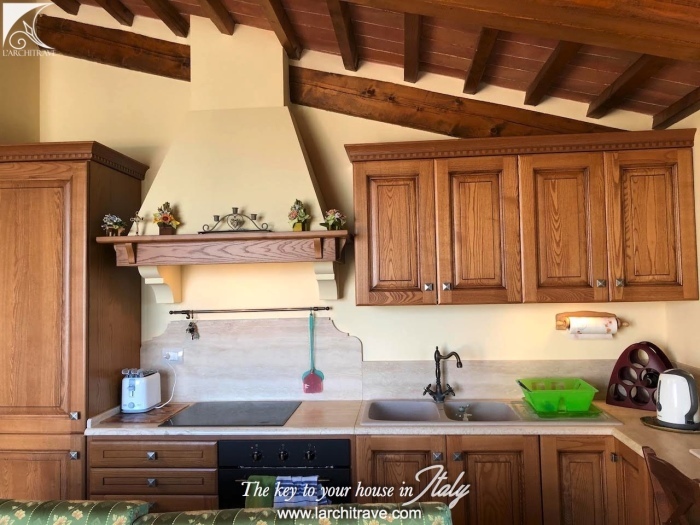 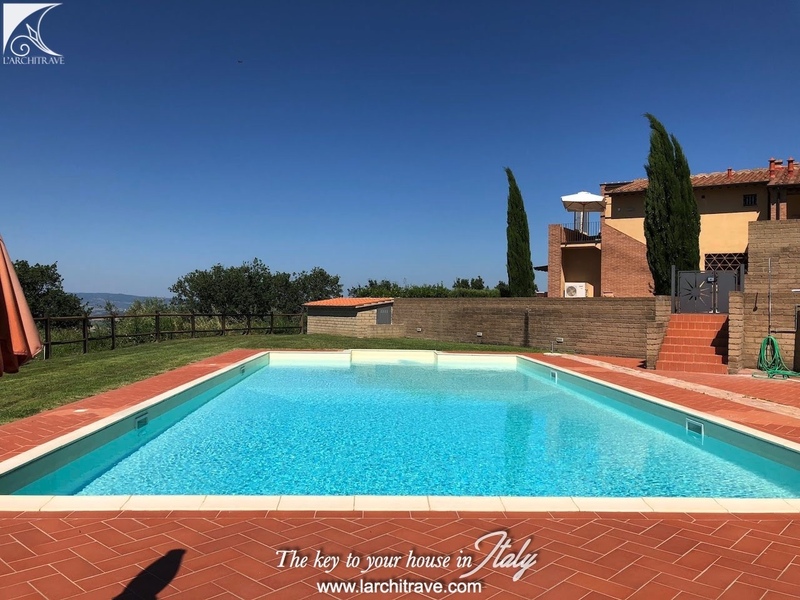 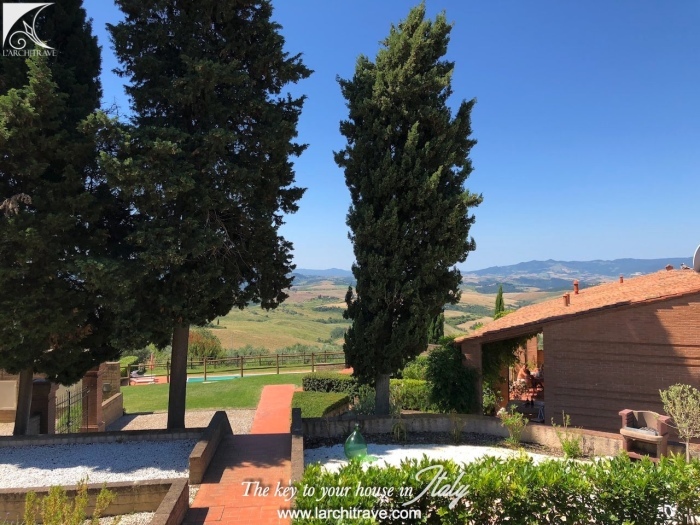 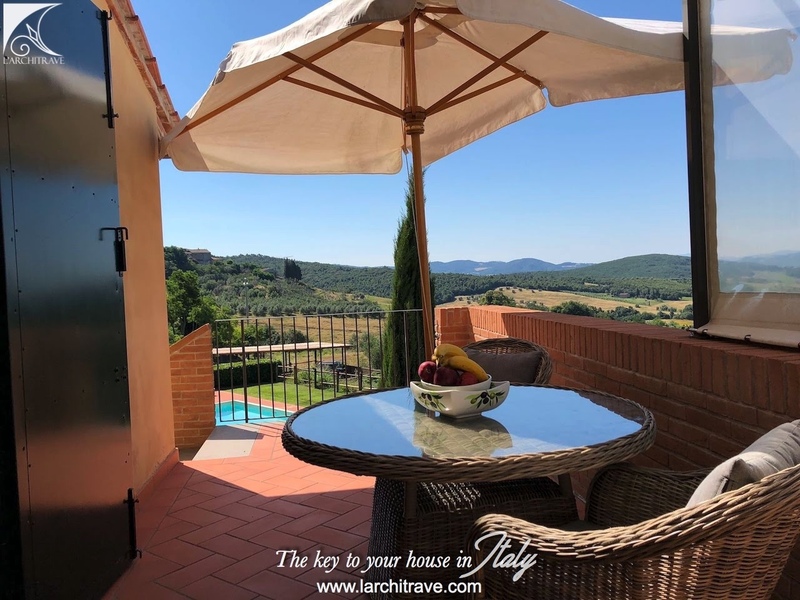 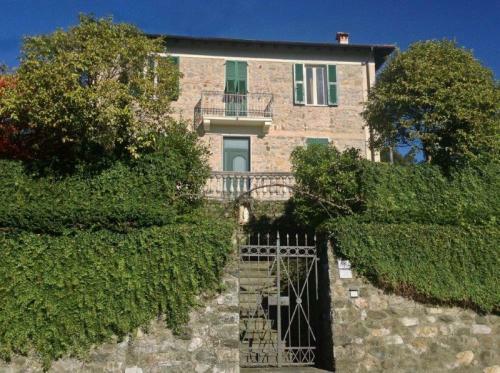 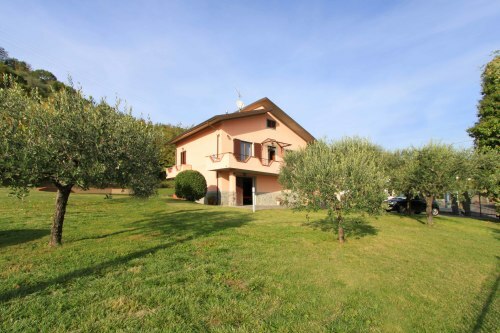 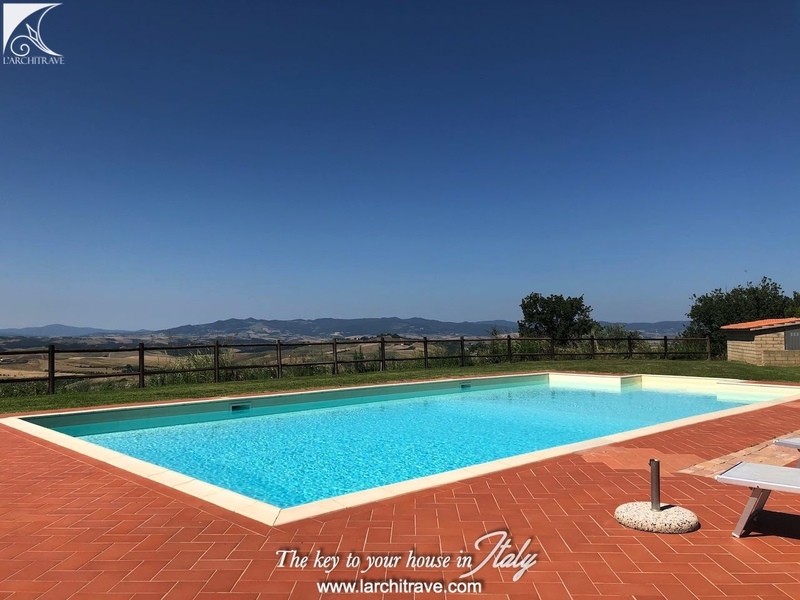 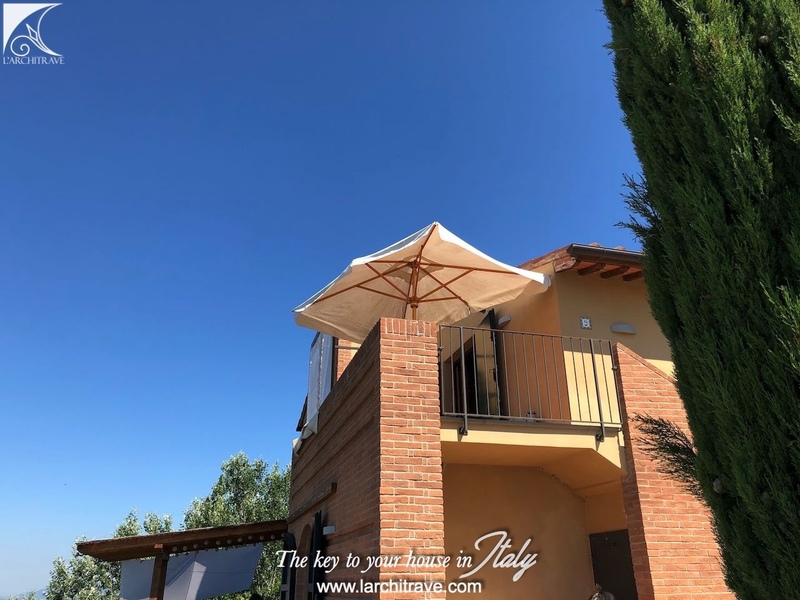 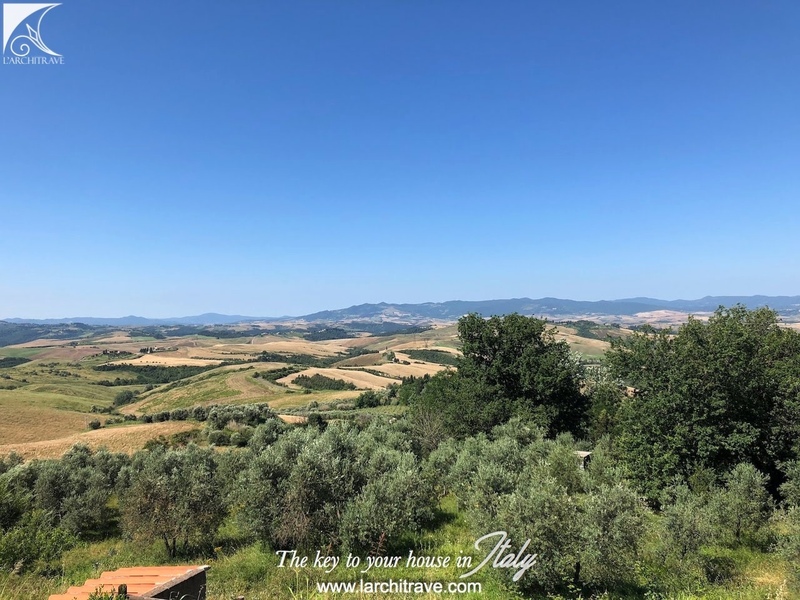 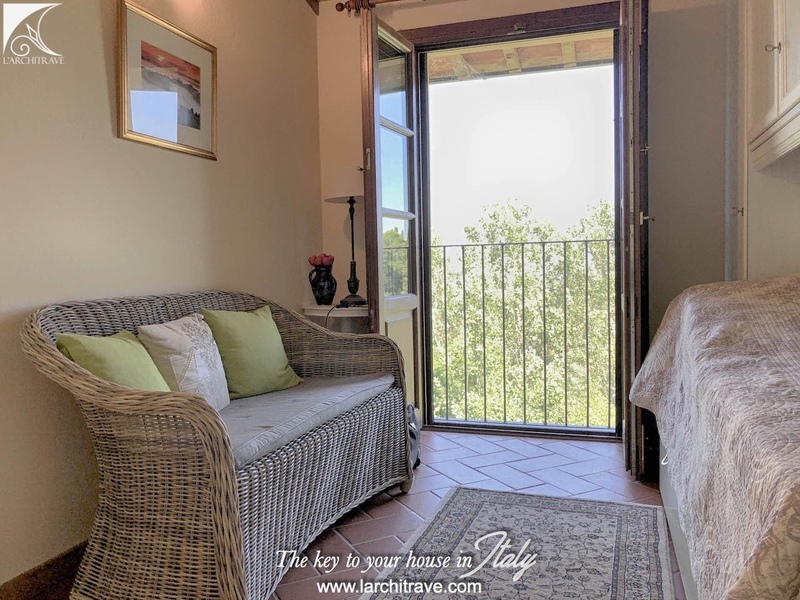 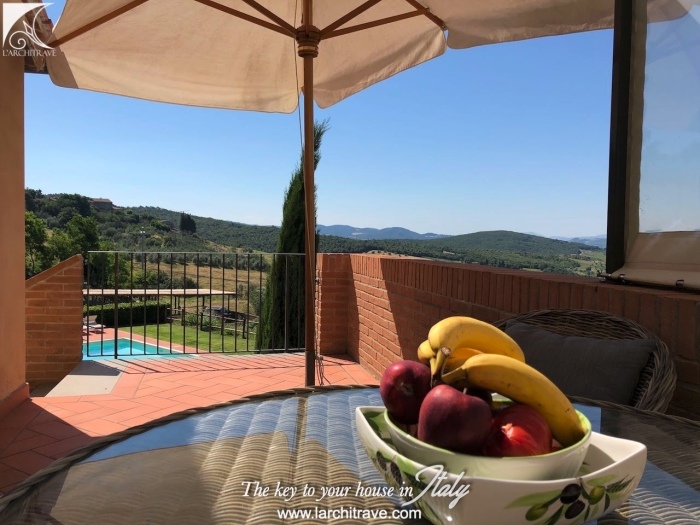 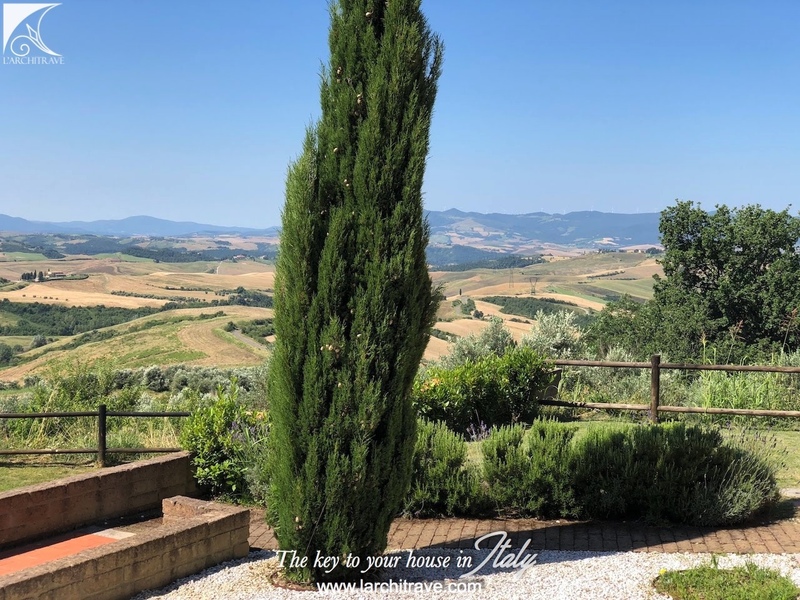 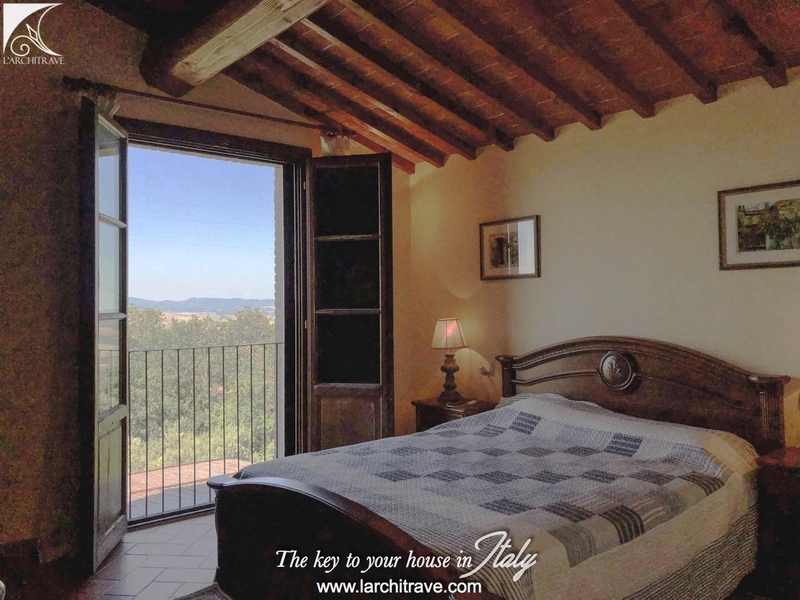 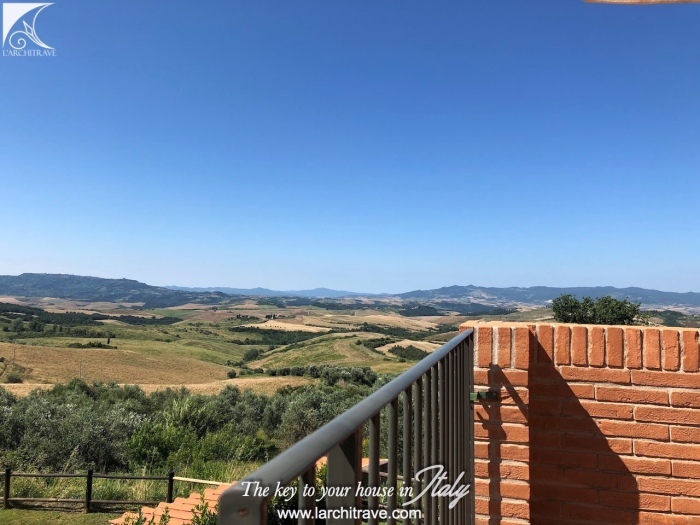 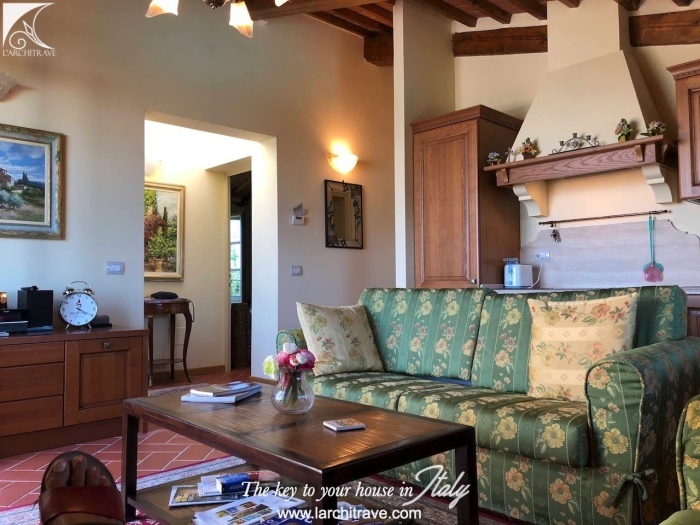 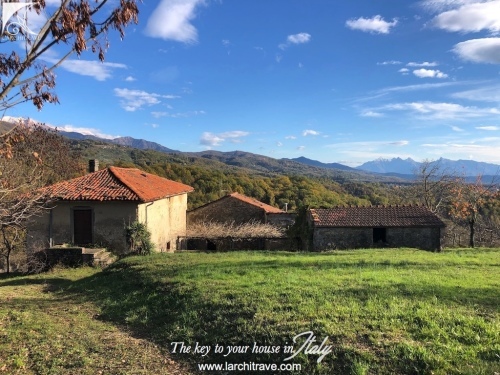 Situated att he edge of the characteristic village of Iano with restaurants and bar , supermarket and a picturesque historical centre, just 10km from San Gimignano and within 40 minutes drive from Pisa international airport and the Tuscan coastline. 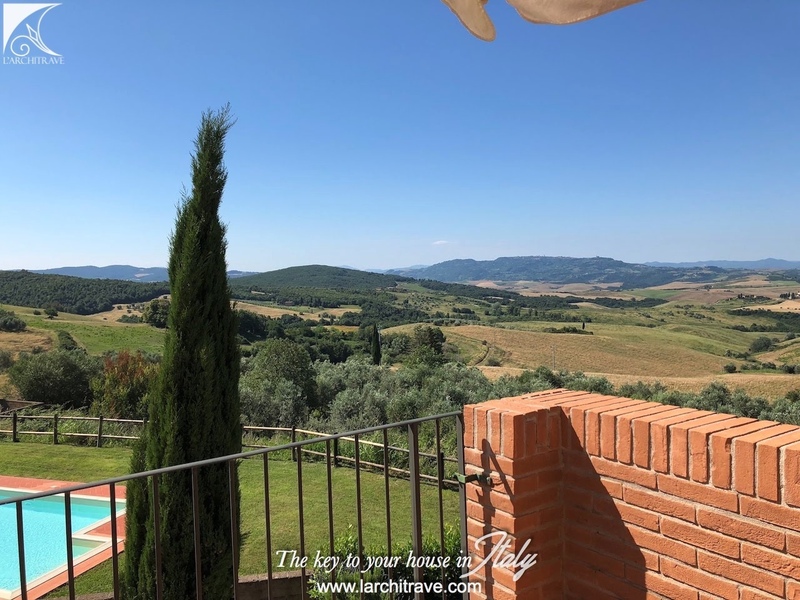 The area hosts some of the most beautul historic buildings which have been superbly restored and epitomise the Tuscan character. 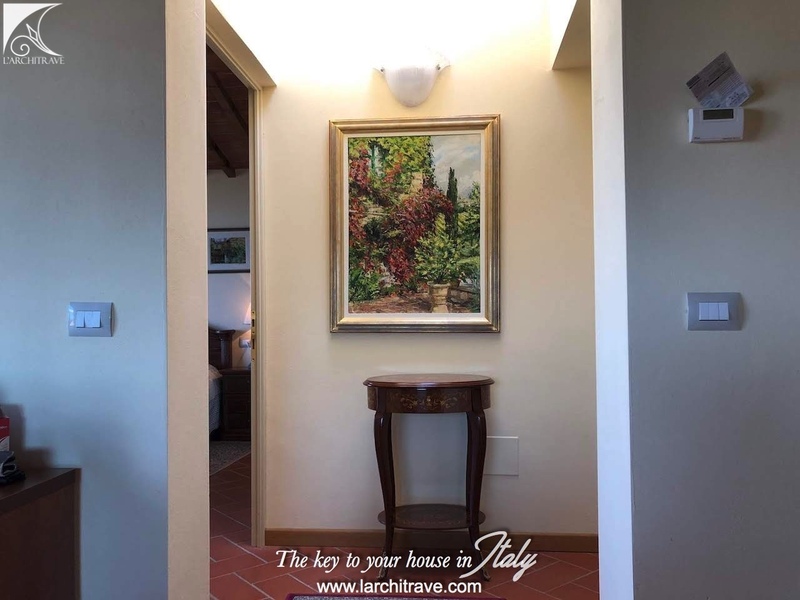 There are also some of the best restaurants such as the popular Osteria San Vivaldo, a combination of cheerful and pleasant atmosphere with genuine local food and a good wine "della casa" Unique perfect location for real Tuscan countryside lovers!